Looking for a shuttle service Newmarket? You are in the right place. Proudly serving the GTA for over five years, the nearby VIP team is there to see your demands are met at excellent rates. 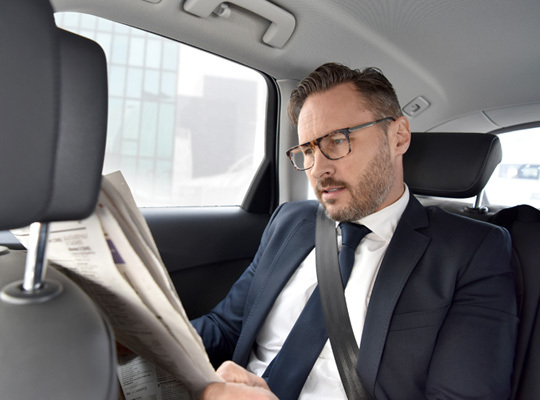 You’ll love our fleet and every service in our arsenal: VIP’s “car service near me” is your best bet for every corporate event, wedding, birthday party or a ride to the airport, at any given moment. Our team understands flying is not for everyone, so why not book a shuttle service instead? VIP Limo 4You actively works on providing our clientele with a positive experience every time: book any of our first-class vehicles and your ride will be up and ready the moment you confirm your booking dates with our team. With our VIP shuttle service Newmarket, you’ll get the most comfortable vehicle for your traveling party and enjoy the most affordable price range. Many of our clients book shuttles for trips from Toronto and the GTA to New York City, Detroit and the like for corporate meetings or mini vacations. Our drivers have undergone thorough background checks and are required to obtain the Toronto Limousine License before they take our valued clients on their journeys. The company’s new luxury vehicles are also inspected by experts twice a year and are serviced frequently to ensure your safe arrival to the desired destination. VIP limo service near your location comes with the latest quality gadgets, premium entertainment systems, and the equipment that make your journey super fun and impressive! Grab your traveling party, use our shuttle service Newmarket and journey to other GTA areas, as well. Opt for limo rental Vaughan or any of our GTA stars: Oshawa Limo Service, Whitby Limo Service, Pickering Limo Service, Oakville Limo Service and many others. To rent a shuttle in Newmarket, visit VIP Limo 4You online. Feel free to call or email us for any inquiries you may have – our team will be happy to assist.